Dianna Louie is a Pediatrician at BC Children’s Hospital and has a pediatric practice in Richmond. She completed her medical school training and pediatric residency at the University of British Columbia. She is the Faculty Lead for Wellness through UBC’s Resident Wellness Office. 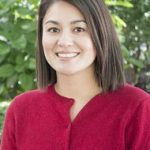 Dianna has been passionate about resident wellness and mindfulness since her own residency. She feels it is so important to empower residents to find joy in their work and be kind to themselves. Dianna is a critical link between the resident body and the program administration advocating on behalf of the residents for increased program support for current and proposed initiatives. She is enthusiastic to introduce new approaches to physician health in residency. She currently is researching resident burnout and resiliency. Dr. Louie has won the 2016 Resident Doctors of Canada Puddester Award for Resident Wellness for her contribution to resident health at BC Children’s Hospital. She also received the inaugural UBC PMGE Faculty and Staff Wellness Award. Dianna is excited to be the new Faculty Lead for Wellness at the University of British Columbia and to connect with residents about how best to optimize their wellness. 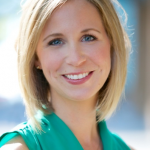 Rebecca Turnbull is a Registered Clinical Counsellor with the BC Association of Clinical Counsellors. She holds a Master of Education in Counselling Psychology from Simon Fraser University and a Bachelor of Arts in Psychology from the University of Victoria. Rebecca’s approach to counselling is to work collaboratively with her clients, drawing on their strengths to help them establish and achieve their goals. Rebecca draws on evidenced based practices and she tailors her techniques to meet the individual needs of her clients. Rebecca is passionate about helping clients improve success, awareness, and health within themselves and their interpersonal relationships. Elizabeth is a Registered Clinical Counsellor with the BC Association of Clinical Counsellors. She holds a Master Degree in Counselling Psychology from Simon Fraser University and a Bachelor of Arts Degree Major in Psychology and Minor in Counselling and Human Development from Simon Fraser University. Elizabeth uses a client-centred, evidence based approach and works to provide a safe, encouraging, and non-judgmental space for clients to explore their inner thoughts and feelings. Elizabeth has post graduate training in Acceptance and Commitment Therapy, a mindfulness and values based approach to living. She helps clients to learn practical day-to-day coping strategies and is passionate about helping clients build on their strengths and resiliencies to lead a healthy and fulfilling life. Elizabeth has experience in career counselling. Kion is a Registered Clinical Counsellor with the BC Association of Clinical Counsellors. He holds a Master of Education in Counselling Psychology from UBC, and possesses advanced training and experience in trauma treatment, group facilitation, couples counselling, intercultural and grief work. Kion also has experience with career counselling. Kion’s process-relational approach to counselling embraces Emotion-Focussed, Narrative, and Experiential modalities of therapy to support a meaningful experience and connection in counselling, and noticeable change and improvement in client’s lives. Kion has worked, studied, and traveled across 90+ countries and is inspired by the powerful, and often unexamined, role one’s ‘life story’ plays in the way people harness strength, peace, and meaning in their lives. 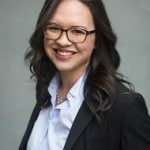 Aileen holds a Bachelor of Arts in Sociology from the University of British Columbia and a Diploma in Emergency and Security Management from the Justice Institute of British Columbia. She is currently completing a Master of Education in Adult Learning and Global Change from the University of British Columbia. 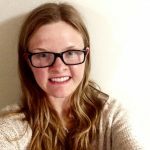 Aileen has a strong background in aquatics and recreation as a first aid, lifesaving, water safety, and aquatic fitness instructor, and has a keen interest in how fitness and recreation can build resiliency in mental, emotional, and workplace wellness. Aileen is available for many types of services, including answering general questions about the Resident Wellness Office, wellness events, and to schedule counselling appointments. Helping all residents achieve their best possible state of well-being. The Resident Wellness Office is committed to providing confidential support services that meet the unique needs of residents and their partners. We help empower residents to engage in taking care of their mental, emotional, spiritual and physical well-being. We do this by facilitating a community of care amongst the resident body by providing evidence-based counselling services, workshops, support groups, wellness initiatives and research. Residency presents a unique set of stressors. We believe all residents should have access to confidential, non-judgmental support services to help them reach their potential and navigate through this critical and demanding point in their careers. Helping residents feel connected through the presence of this program. 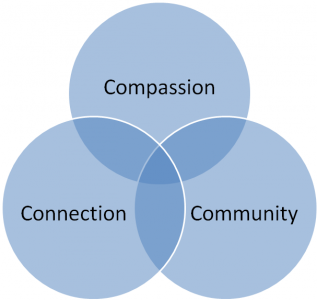 Connecting residents with resources, supports, each other, and, ultimately, themselves. Providing a compassionate, confidential space where residents can receive support and learn tools to better cope with stressors. Building and promoting self-awareness, advocating for health and wellness, informing residents of warning signs, empowering residents to reach out and support one another will all build a sense of community – a community in health and wellness.